Striving to provide great customer service is the most important part of any business. It affects your bottom line, your reputation, referrals and repeat business. At JUSTJUNK we have developed key technological advancements to aid in constantly improving the customer service experience. Our online and front line booking systems are well into their second iteration. Each facet of our internal content management system (CMS) is geared to improve minute but critical details of our business to make sure the customer gets the benefit. Tracking what seems like minutiae—arrival times, how the customer found us, service details, customer feedback—in one space gives us valuable information to later analyze without jumping around between multiple platforms. 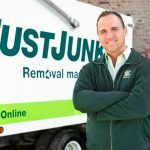 JUSTJUNK franchises have recently seen increasing benefits by giving customers the ability to chat with us directly from their computers and mobile devices via instant messaging and texting services. The results have exceeded our expectations. Since this system was implemented in 2017 nearly 30% of our customer interactions occur over live chat and messaging platforms. Previously, customers who may have felt uncomfortable or didn’t have the opportunity to speak to us over the phone, or weren’t familiar with online booking systems, wouldn’t have contacted us. Forget the map books. Bringing accurate GPS (global positioning system) into our internal booking system allowed us not only to improve our arrival times but also improve how our customers were able to book our service. GPS provides a multitude of details to customers and our front line staff. Creating a system that intuitively aids our customers and service providers in getting the best out of our service means that we can ensure that we create the best opportunities to not be late on arrival by not scheduling jobs too far apart. Also by ensuring we stay within our promised arrival times. As a result, integrating a GPS system has increased our customer service satisfaction to the highest levels. It’s critical, however, that all members of your team, from the first point of customer contact and those providing the service all have access to the same information. That’s why we ensure transparency; everyone who speaks to our service has access to important GPS information from scheduling to arrival. As a customer it’s frustrating to hear, “I’ll have to call you back with that.” So, we have done two things: one, we ensure that our truck teams call customers if delays are expected, and two, regardless, follow up with calls 20 minutes prior to arrival. If a customer is curious and calls in prior to those 20 minutes, our contact centre agents have an estimated time of arrival (ETA) on hand for them, to avoid having to make another call. If you’re in business, you understand just how important word-of-mouth and online reviews are. Yet online review platforms are not all created equally. Google, Yelp and other local platforms all have their own rules and methods of weeding out spam and their definitions of spam are their closest guarded secret. As a business, we want customer feedback to ensure we continue to provide the best service possible and address crucial areas of improvement. We also want customers to tell us how great we are: what business wouldn’t? 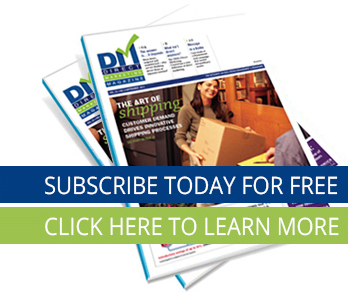 Through our own system of e-mail receipts, we ensure that every customer, whether satisfied or not is able to deliver feedback in a timely manner directly to these platforms. No solicitation and no devious incentivizing. You can also use e-mail and also app receipts to encourage customers to give you the valid feedback your business needs to progress and become even more successful. Would you believe that this could all be done in one system? There are countless CMS platforms that will pitch small businesses on just one of these services. Like one CMS for customer database, one that manages GPS tracking and one that gathers and collects reviews. But not every business is the same and these services aren’t “one size fits all”, either. What about investing in the time to work with local developers to create your own systems, bringing everything in one that makes sure that the customer benefits most rather than the company providing the individual pieces of software? Our mantra at JUSTJUNK is “Removal Made Easy”. We built technology that is easy for everyone to use and we’re lucky to be able to constantly make improvements immediately based on feedback from our customers, front line staff, truck teams, members in the field and our franchise owners. It can be a lot for smaller businesses to develop their own tech. But as part of scaling up it could, over time, save you an incredible amount of time, improve your bottom line and, most importantly, help customers experience your best service.